CAN'T PAY YOUR HEAT BILLS? The 2018-2019 Energy Assistance Program runs from October 1, 2018 to May 31, 2019. 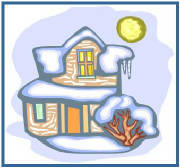 A program to help pay winter heat bills and furnace repairs. Because people with low incomes have a hard time paying all their bills and people must have heat in the winter. Homeowners and renters who meet income guidelines. One time each heating season. Applications are accepted from Oct 1st through May 31st. Call the number above or click on the applications below, fill the application out and send it in to the address listed above. If your income is below these guidelines, you are eligible for help. 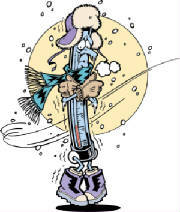 ~ This help is for people for all ages with all types of income and heating fuels. ~ You should apply for help before you get a past-due bill or run out of fuel. ~ The program will not pay all of your heat costs. ~ You can apply if you pay your heat cost in your monthly rent. ~ We can tell you about other help available and how to save energy. ~ All information you give us is private. ~ You can apply if the government pays part of your rent (subsidized) if you have an electric vendor. ~ Non custodial parents may include their children as household members.